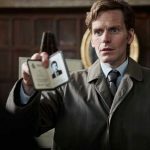 As U.S. viewers settle in for Sundays series 5 finale of Endeavour on PBS, Shaun Evans is back at it both in front of and behind the camera as filming has begun on series 6. Sporting a new look complete with sunglasses and a moustache befitting of 1969, Evans will put his directorial mark on the show when he heads behind the camera for the second feature-length film in the series. Alongside Evans, Roger Allam will return as DI Fred Thursday, Anton Lesser as CS Reginald Bright, Sean Rigby as DS Jim Strange, James Bradshaw as Dr Max DeBryn, Sara Vickers as Joan Thursday and Caroline O’Neill as Win Thursday. 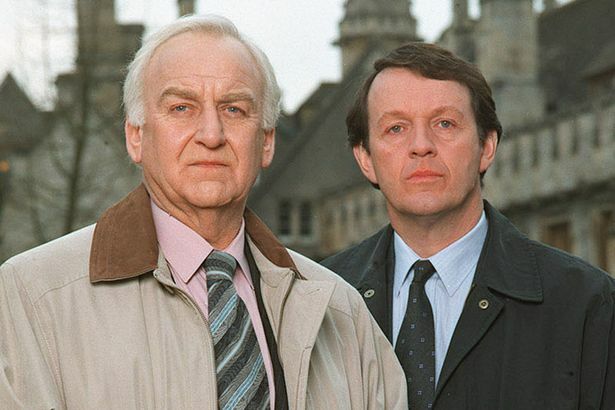 Abigail Thaw, the late John Thaw’s daughter, will also return as Dorothea Frazil. 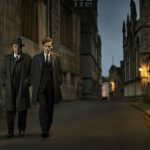 Guest stars in the upcoming series include Sophie Winkleman (Two and a Half Men), Blake Ritson (Indian Summers), Matthew Cottle (Unforgotten), Oliver Chris (Motherland), Sargon Yelda (Strike), Alice Orr-Ewing (A Very English Scandal) and Ross Boatman (Mum). 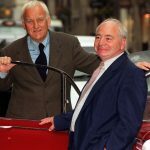 A recent Radio Times poll revealed that Inspector Morse was named the greatest British crime drama of all time. 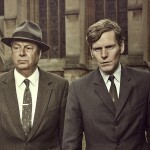 Morse’s appeal is further evidenced in the poll, with prequel series Endeavour taking fourth place and spin-off Lewis ending up in 12th position. 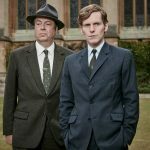 Endeavour S6 will premiere in 2019 on both ITV and PBS. I don’t think I’m liking the mustache!! Can’t wait. Loved series 5. Thought it was the best Endeavor series.